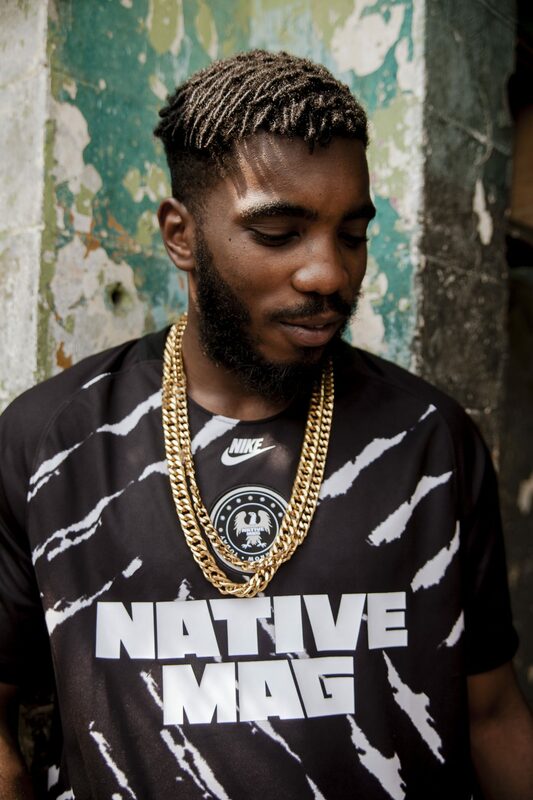 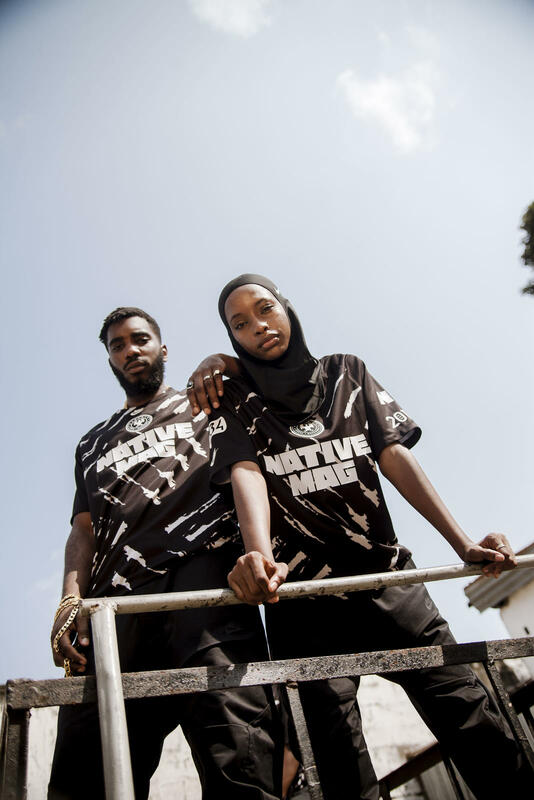 The NATIVE Magazine has a new collection in collaboration with sportswear giants Nike! 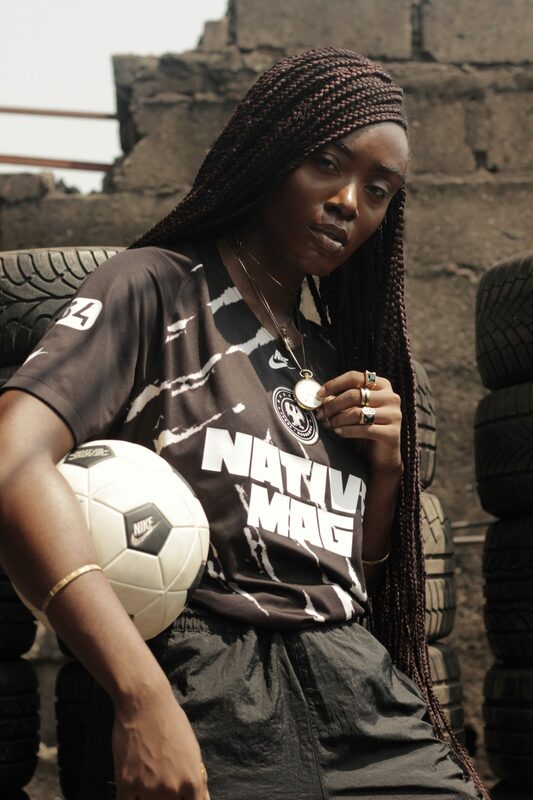 The NATIVE’s limited edition jersey design is a mixed print of Adire-inspired patterns meets tyre tracks, a tribute to the popular make-shift goalposts used by kids on streets of Lagos. 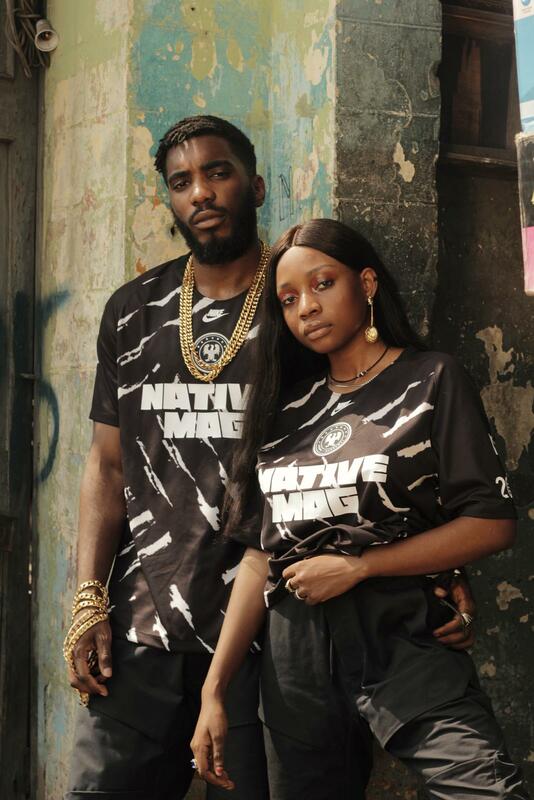 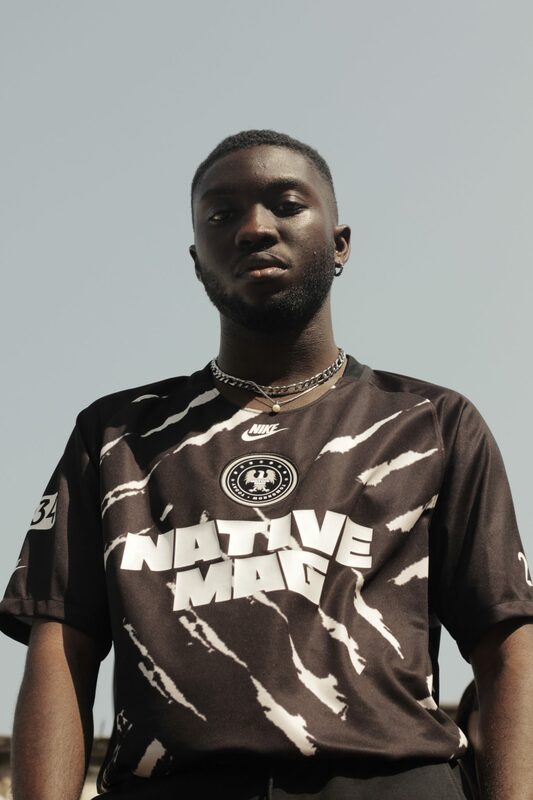 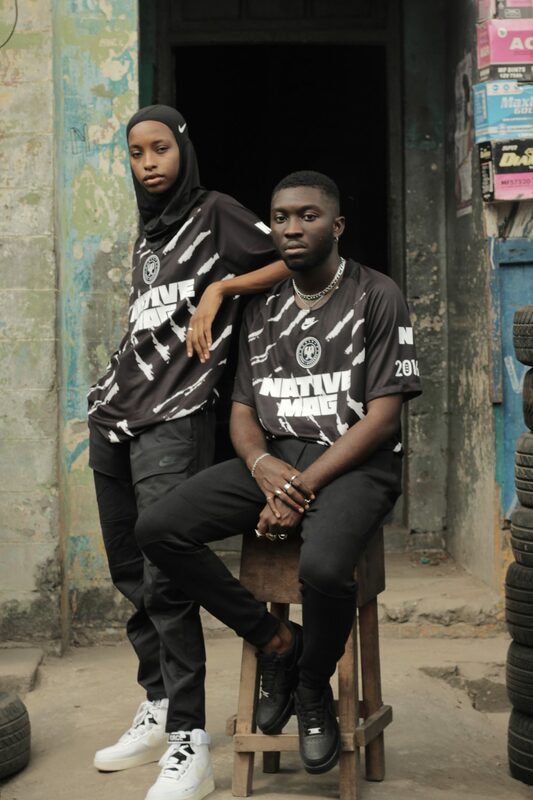 The newly released jerseys from this Nike collaboration aims to merge The NATIVE’s growing influence in Nigerian popular culture with the country’s favourite sport.